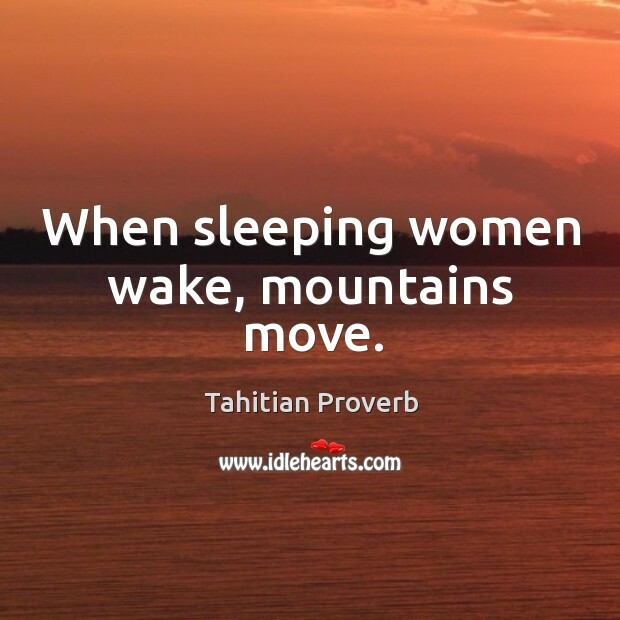 Collection of famous Tahitian proverbs, true sayings and wise words. Use words and image sayings to keep you moving forward! 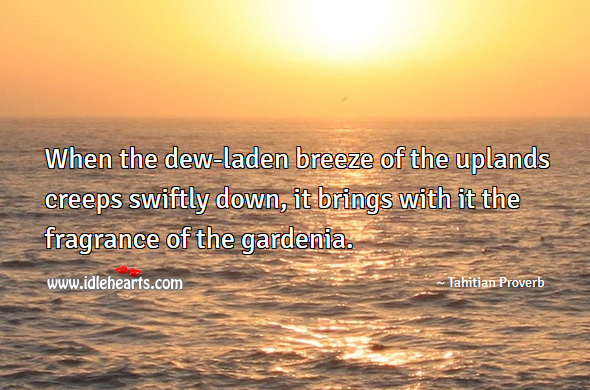 When the dew-laden breeze of the uplands creeps swiftly down, it brings with it the fragrance of the gardenia. 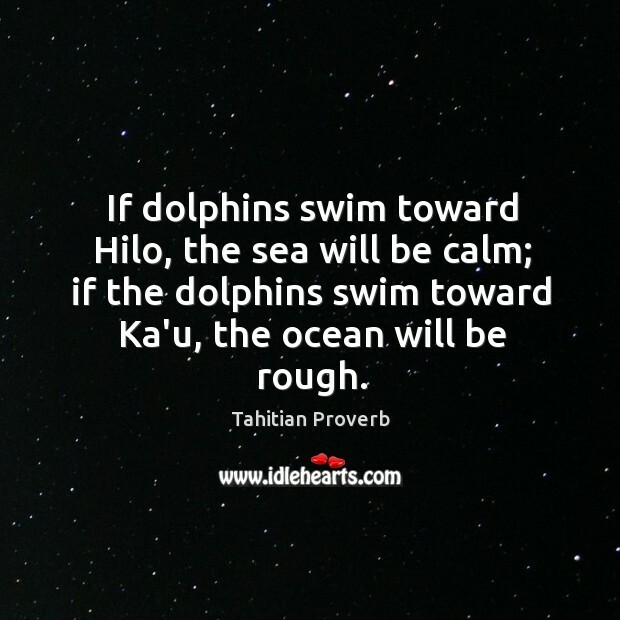 If dolphins swim toward Hilo, the sea will be calm; if the dolphins swim toward Ka'u, the ocean will be rough. 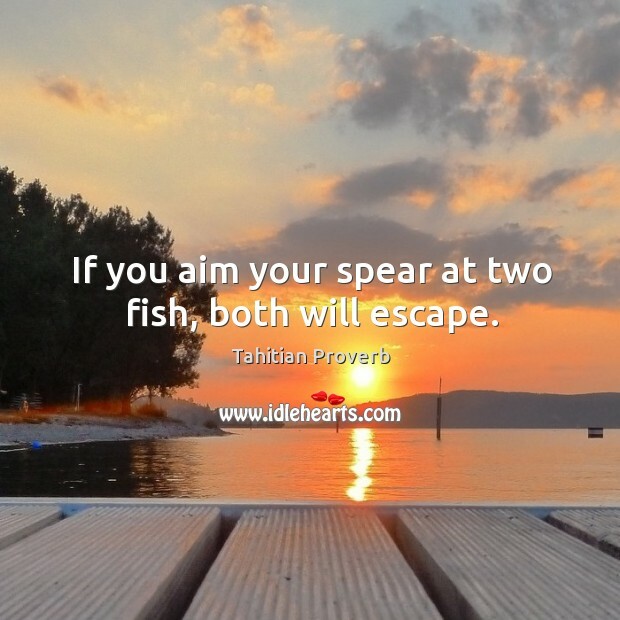 If you aim your spear at two fish, both will escape. 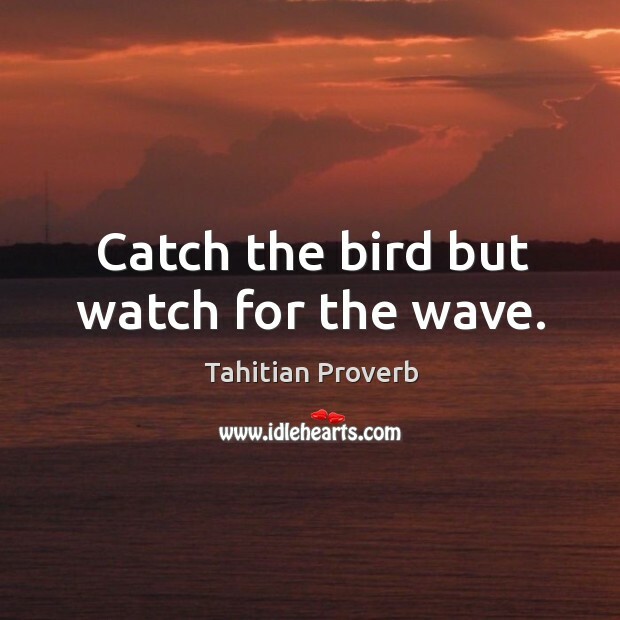 Catch the bird but watch for the wave. 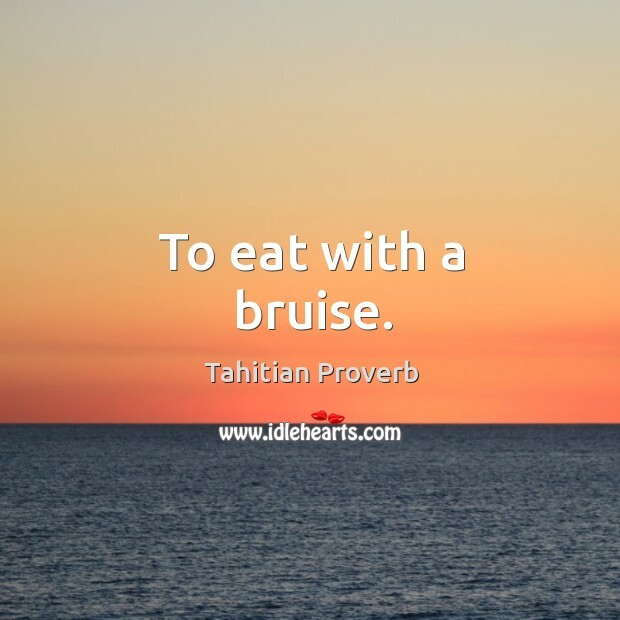 To eat with a bruise. 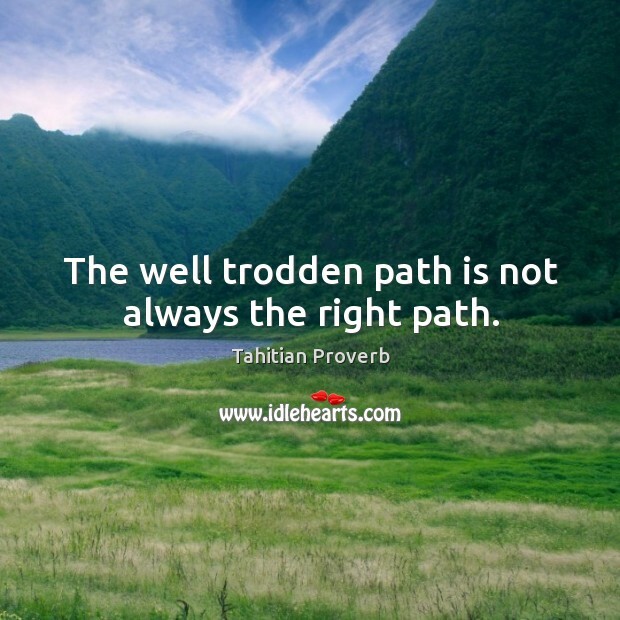 The well trodden path is not always the right path. 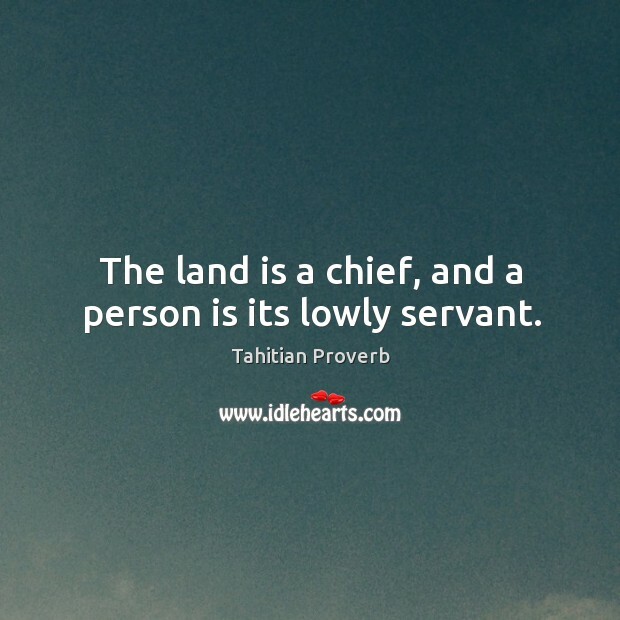 The land is a chief, and a person is its lowly servant. 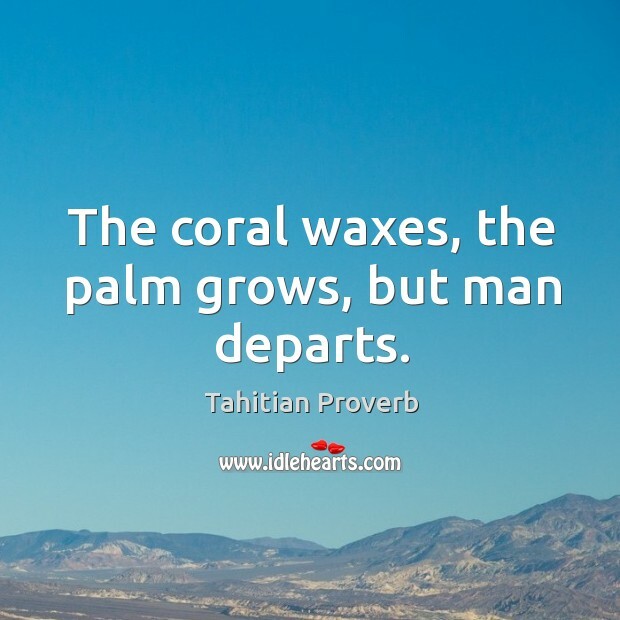 The coral waxes, the palm grows, but man departs. 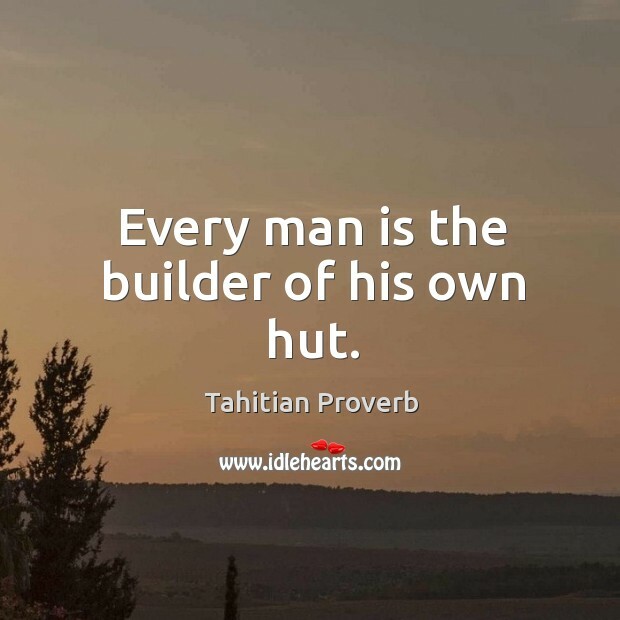 Every man is the builder of his own hut. 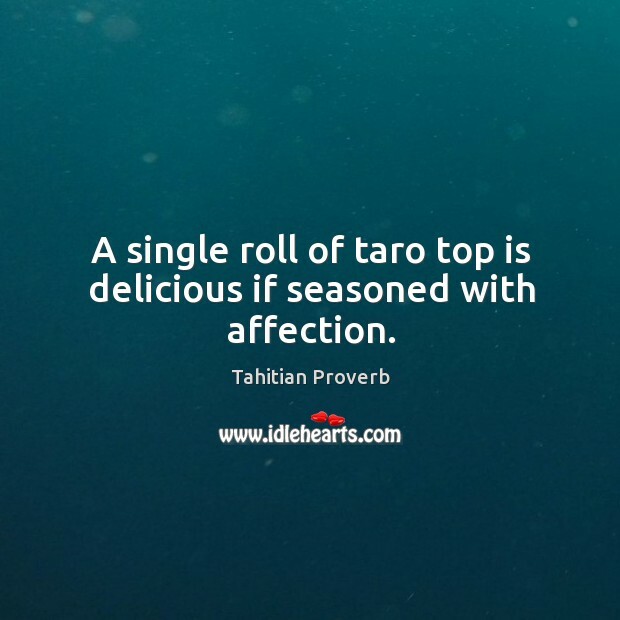 A single roll of taro top is delicious if seasoned with affection. 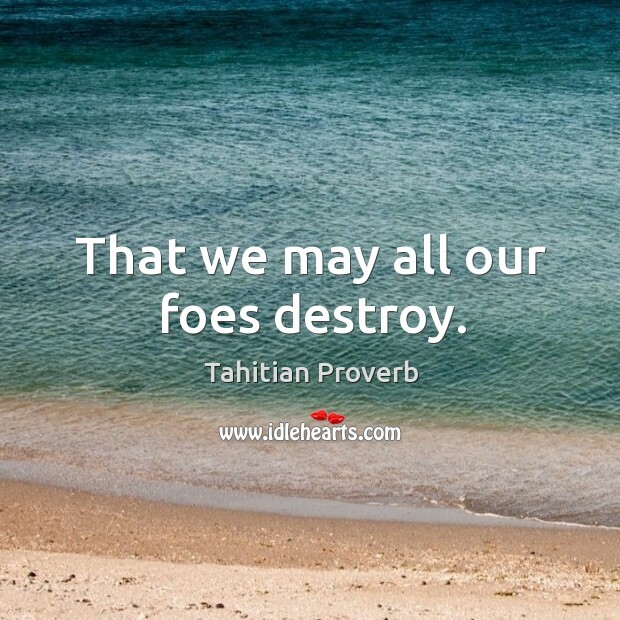 That we may all our foes destroy. 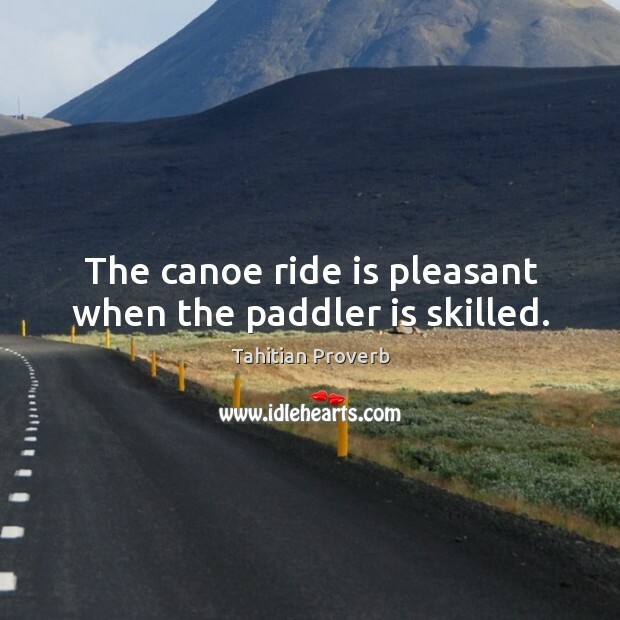 The canoe ride is pleasant when the paddler is skilled. 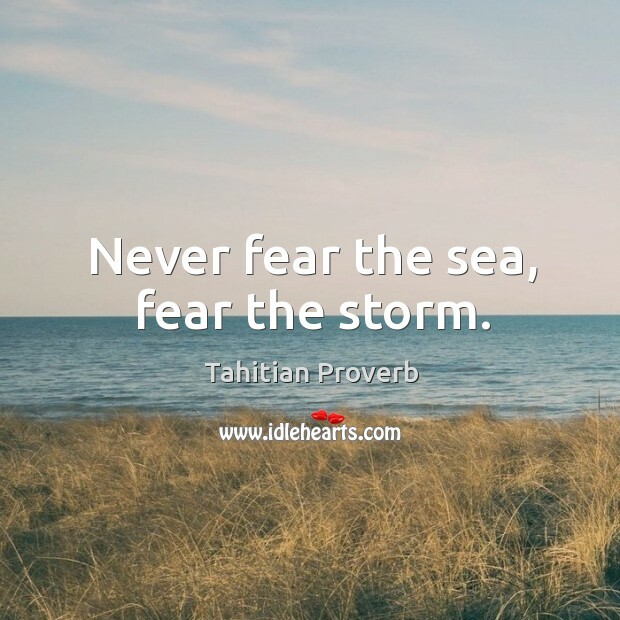 Never fear the sea, fear the storm. 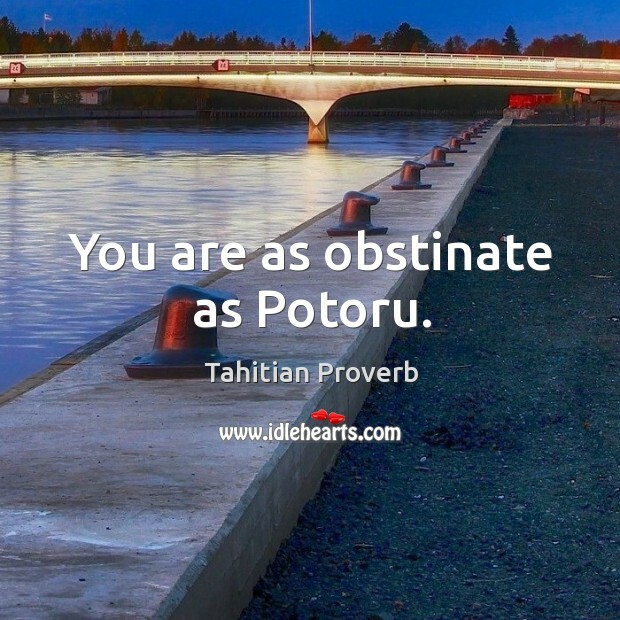 You are as obstinate as Potoru. 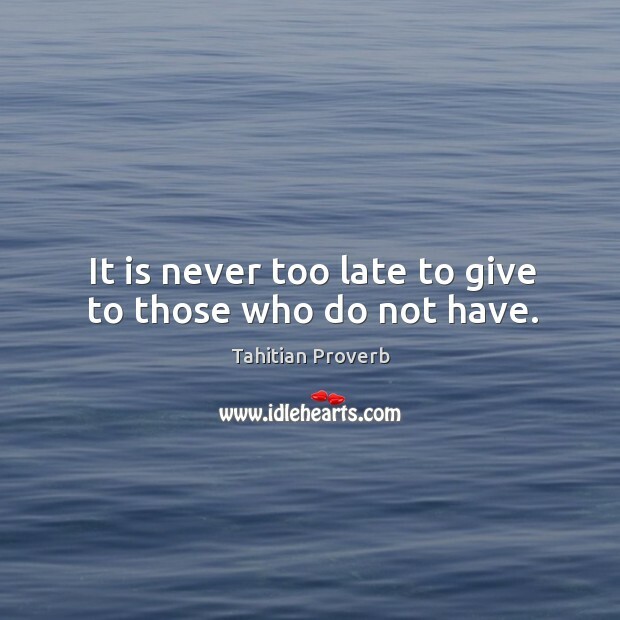 It is never too late to give to those who do not have. 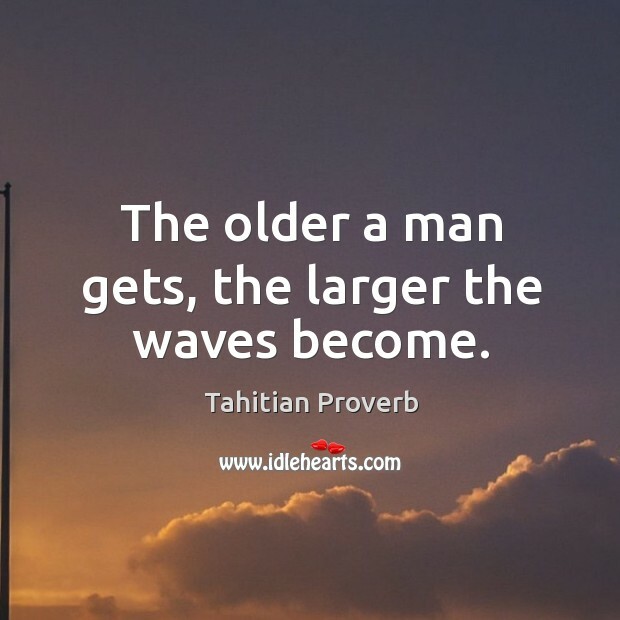 The older a man gets, the larger the waves become.